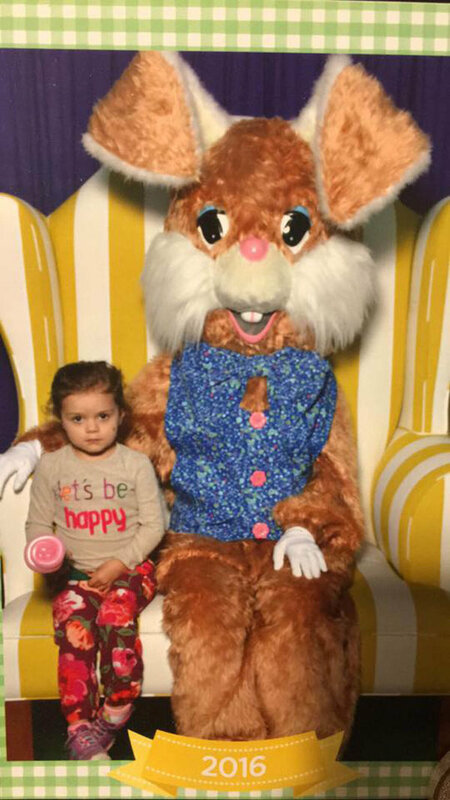 She wouldn’t even get near the bunny. 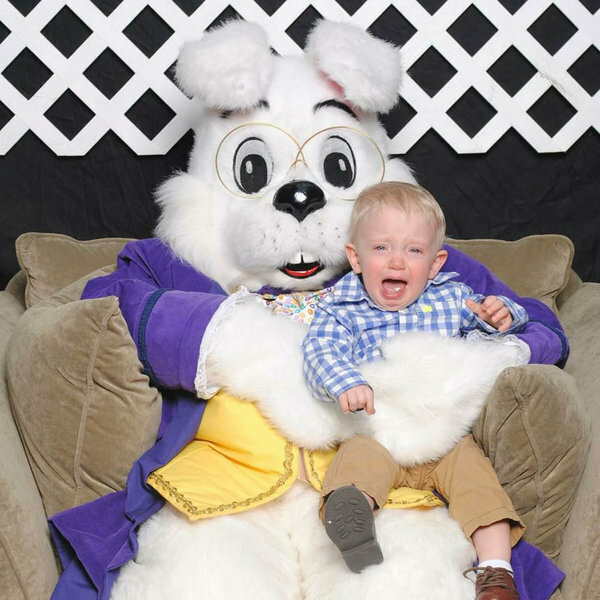 He was not impressed with the Bunny! 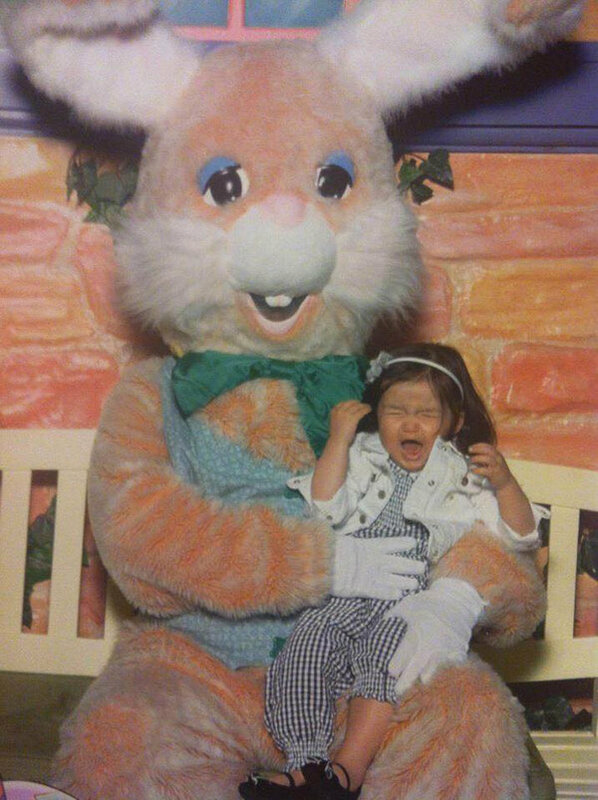 When you won’t go to the bunny, the bunny comes to you. 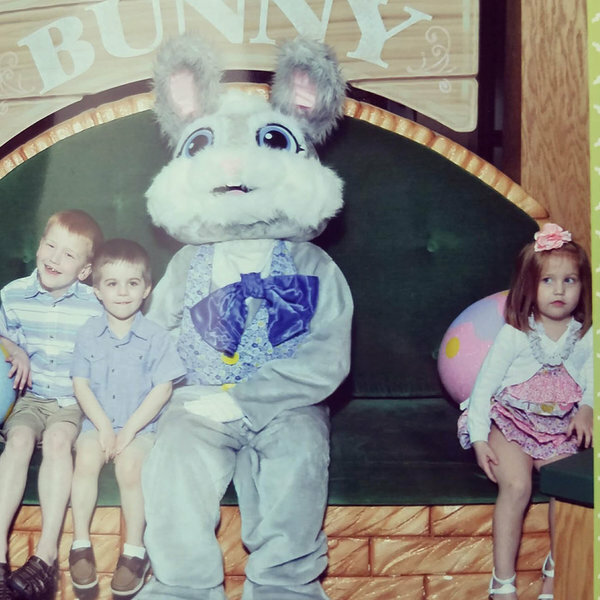 My poor kiddo wasn’t having it and tried to hide. 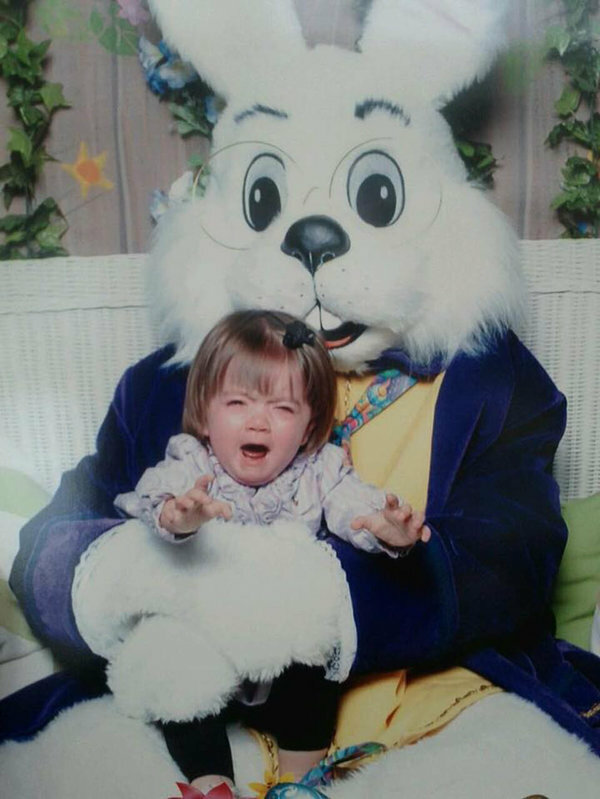 Here’s my daughter Layla, praying that it will all be over soon. 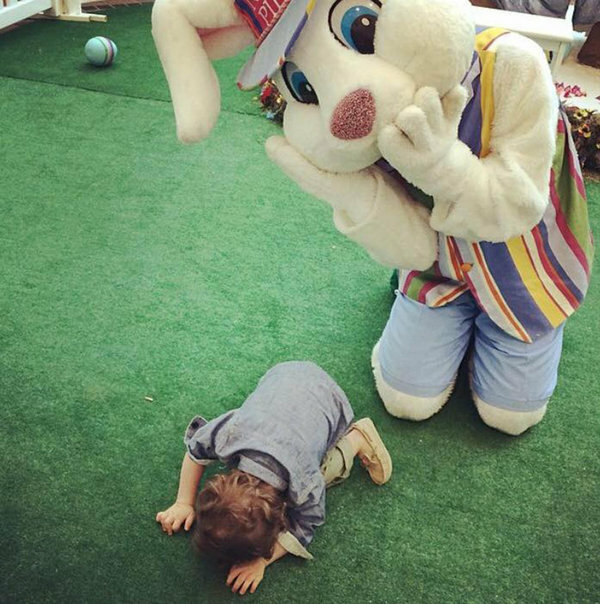 I think the Easter bunny farted. 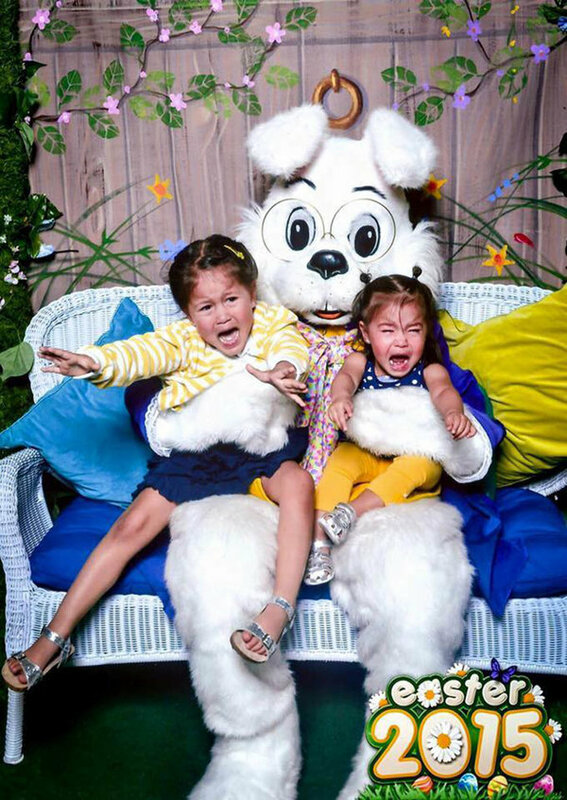 As you can see from the picture, my daughter is holding onto me for dear life! 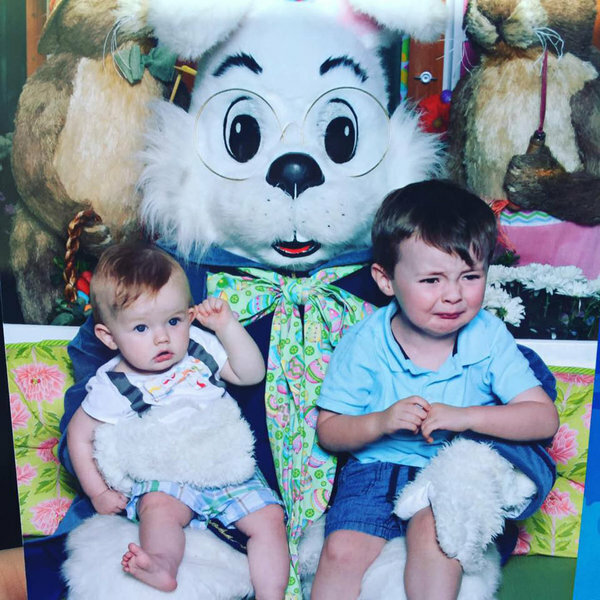 My husband is not convinced either! 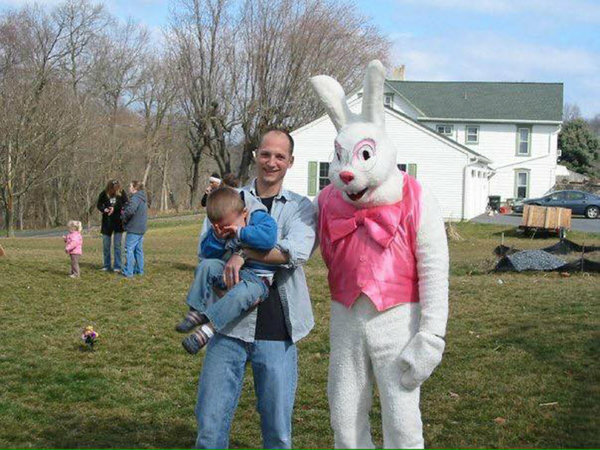 Creepy bunny. 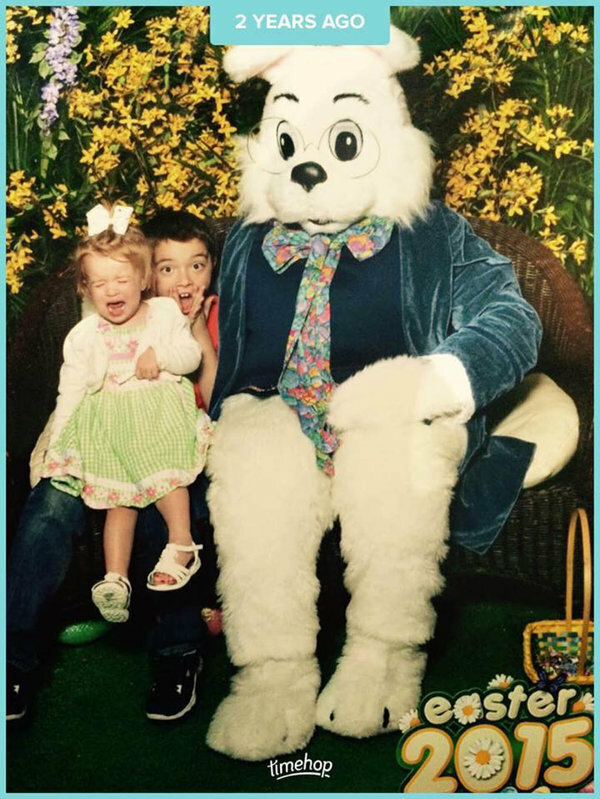 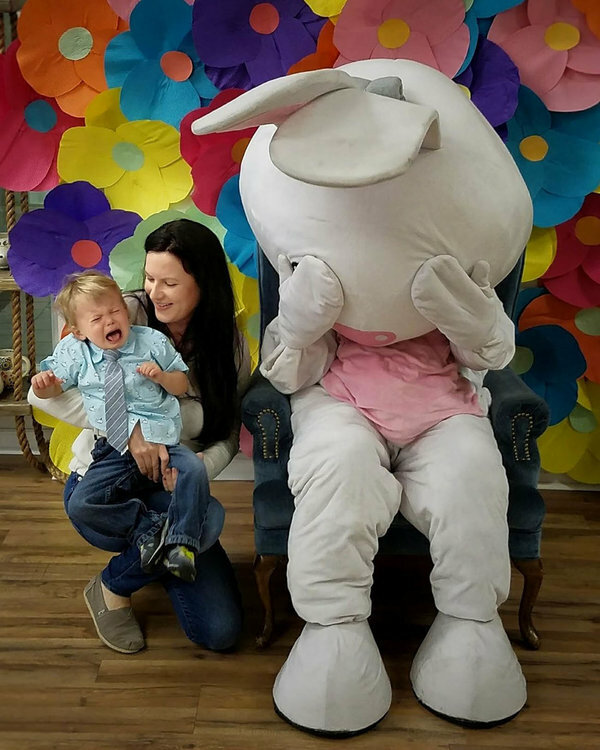 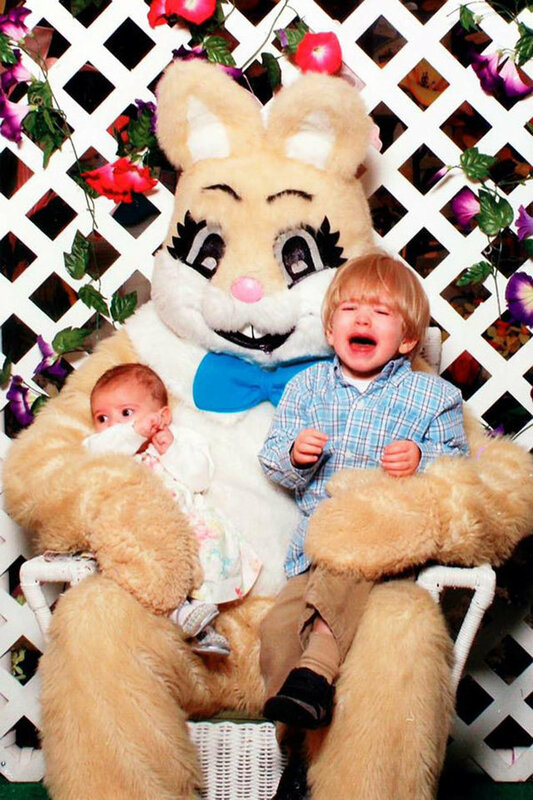 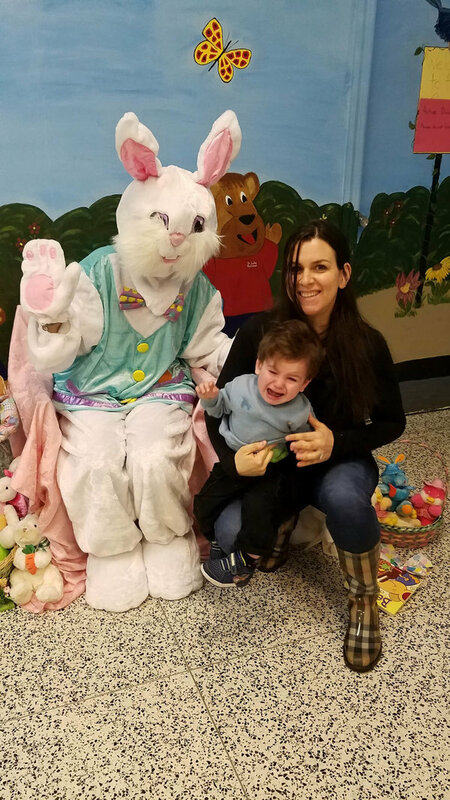 Between my horrified son and the Bunny’s eye malfunction, this is one we’ll never forget. 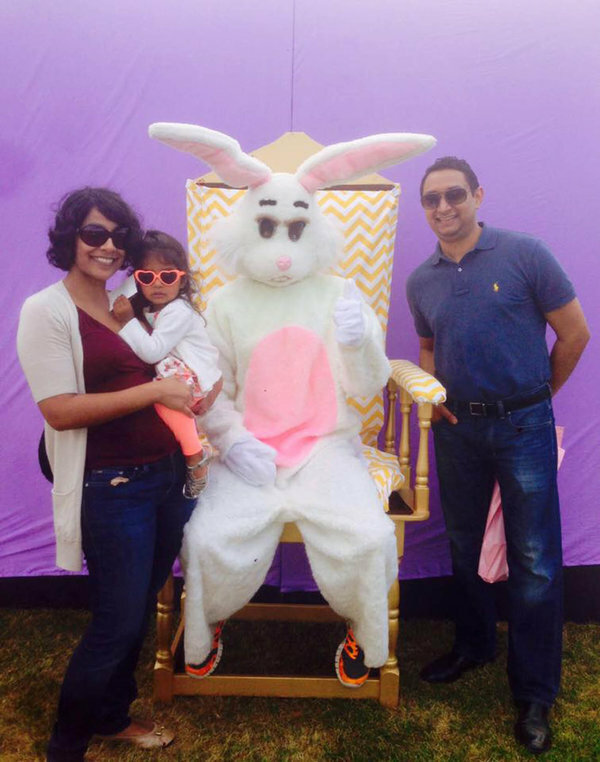 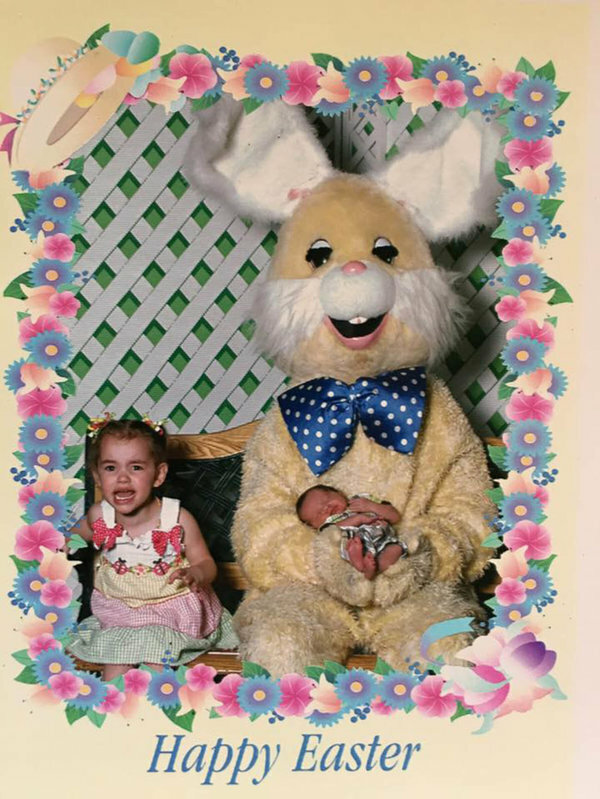 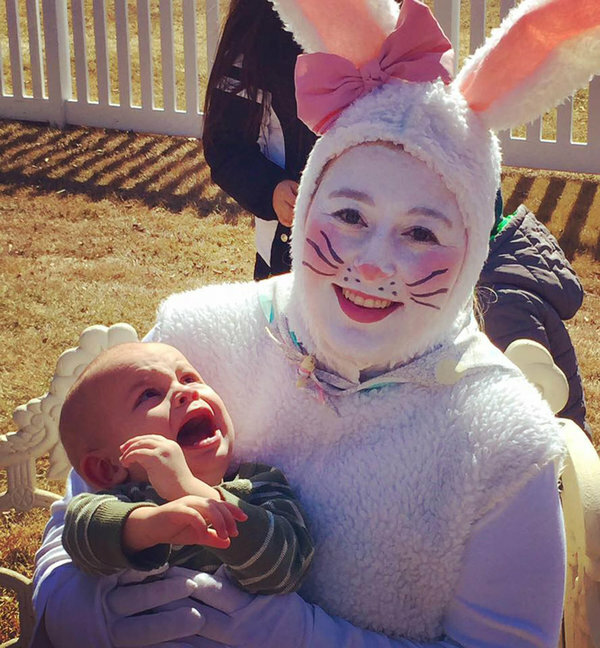 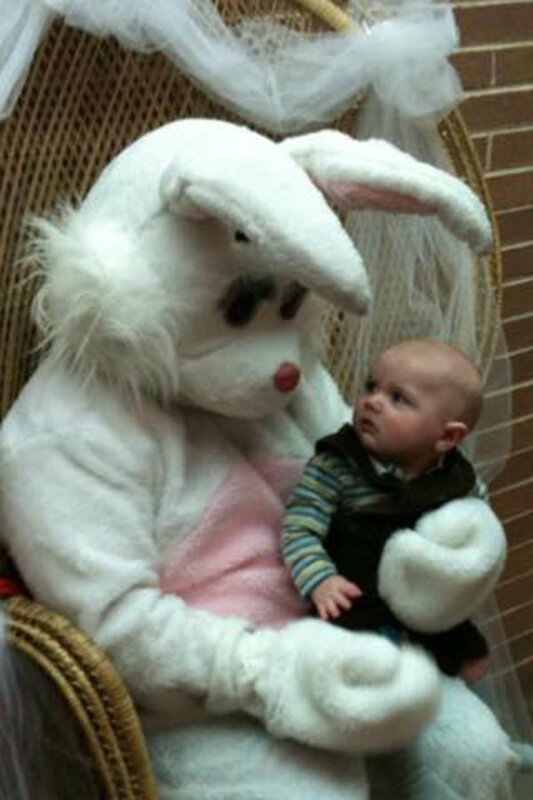 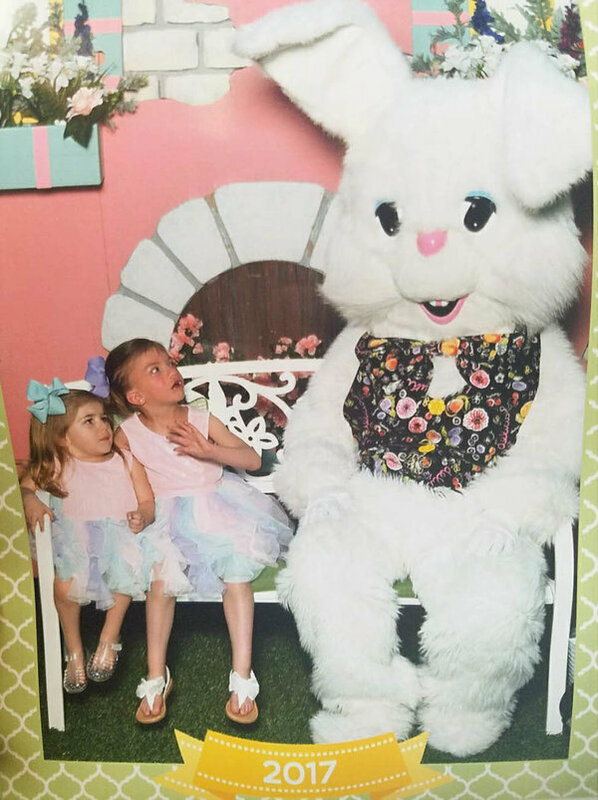 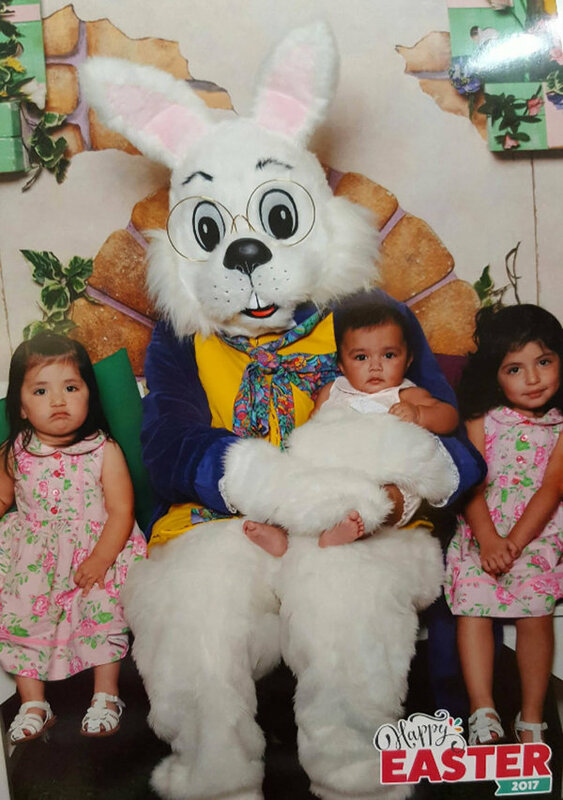 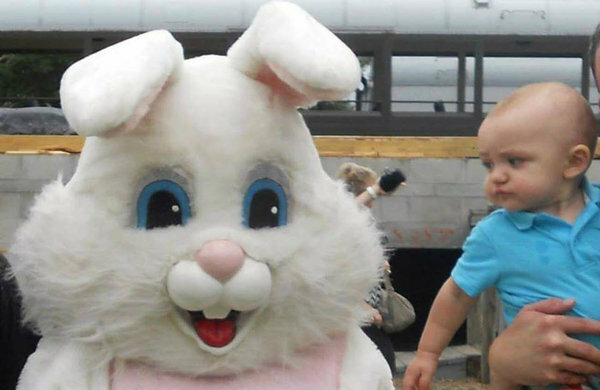 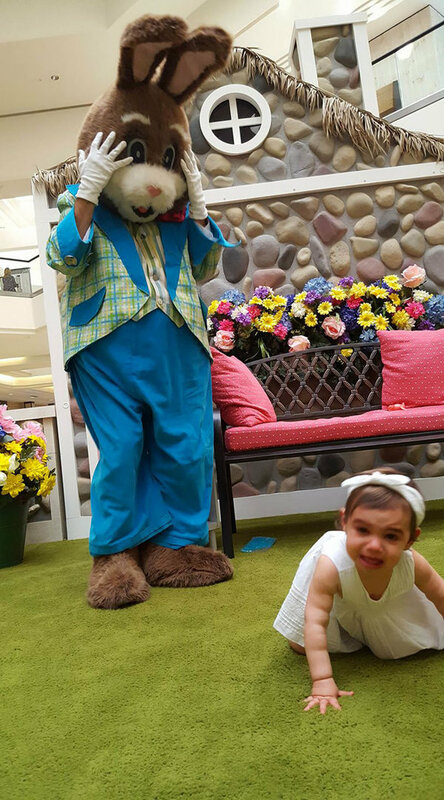 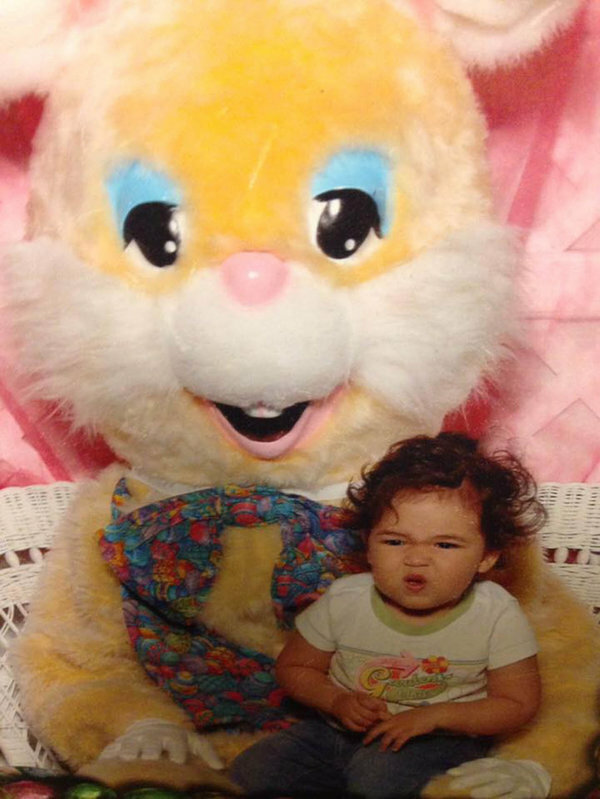 Meeting the Easter Bunny for the first time … and not so sure about it. 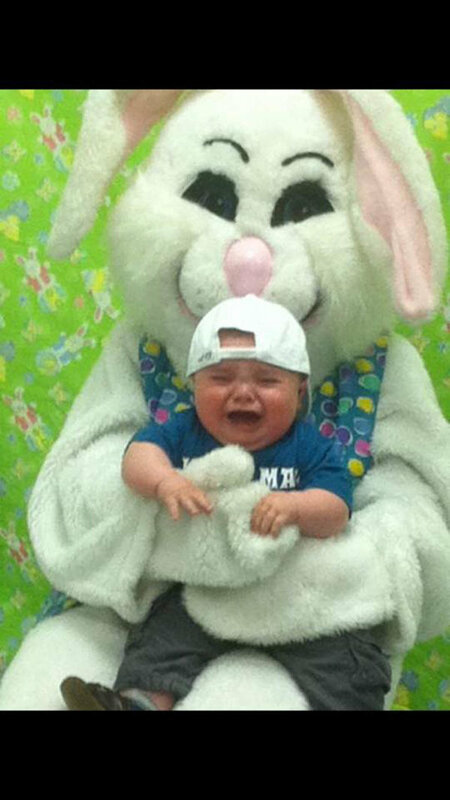 Jack was 6 months old here. 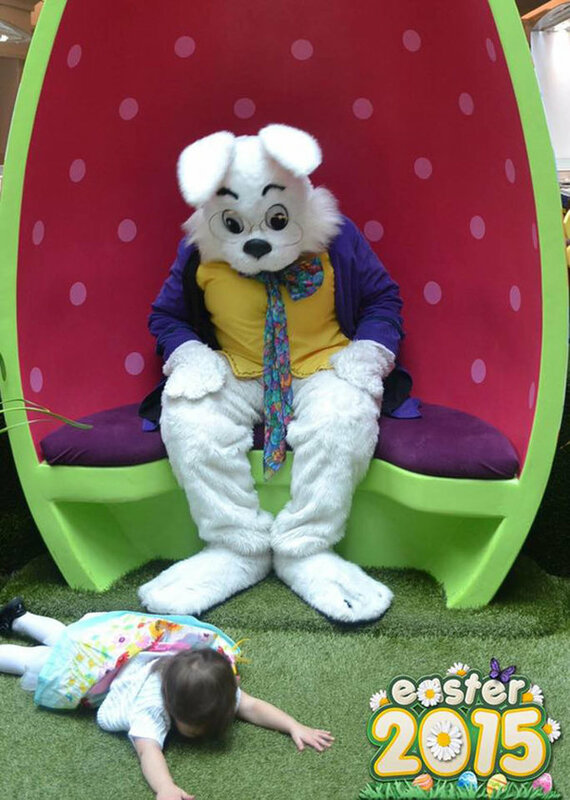 He’s now 6 and still despises anything in a costume. 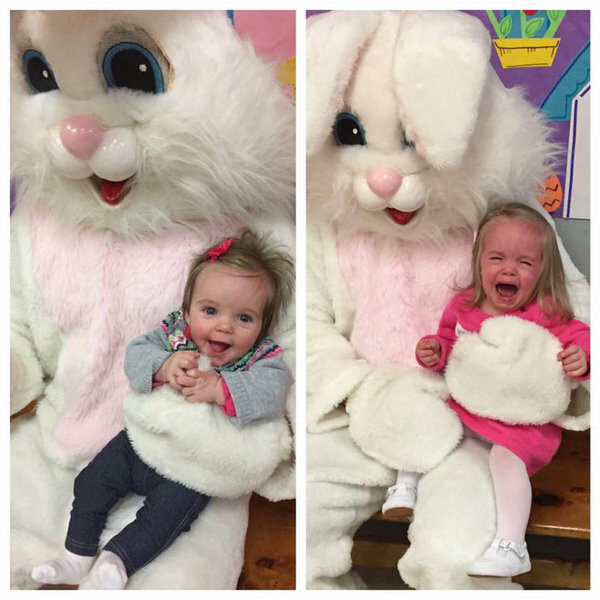 She was so excited to meet the Easter Bunny, even running up to him before it was her turn. 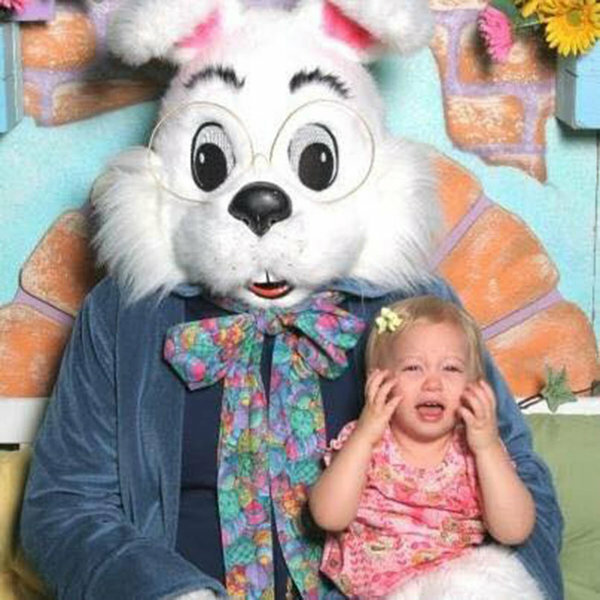 All of that excitement turned to shear terror the moment my husband put her down on the Bunny’s lap and started backing away. 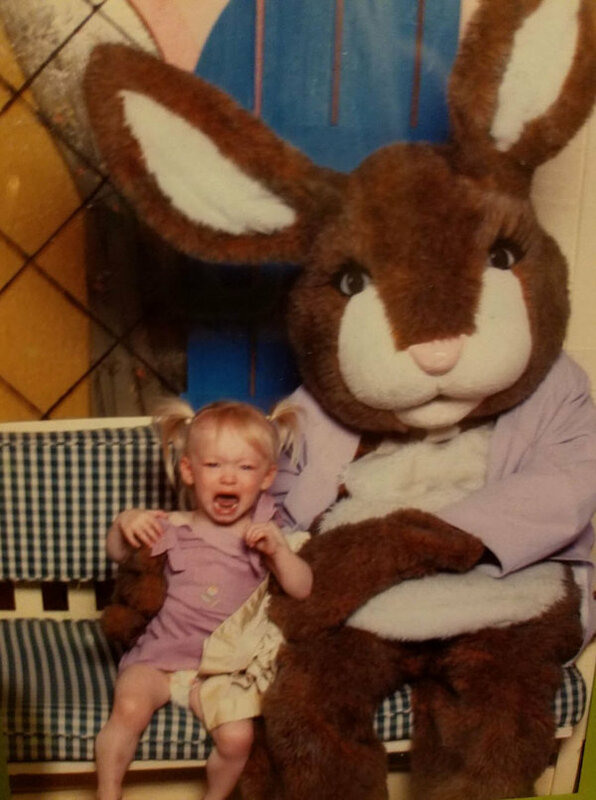 Hasn’t been back since.. she’ll be 10 years old this year. 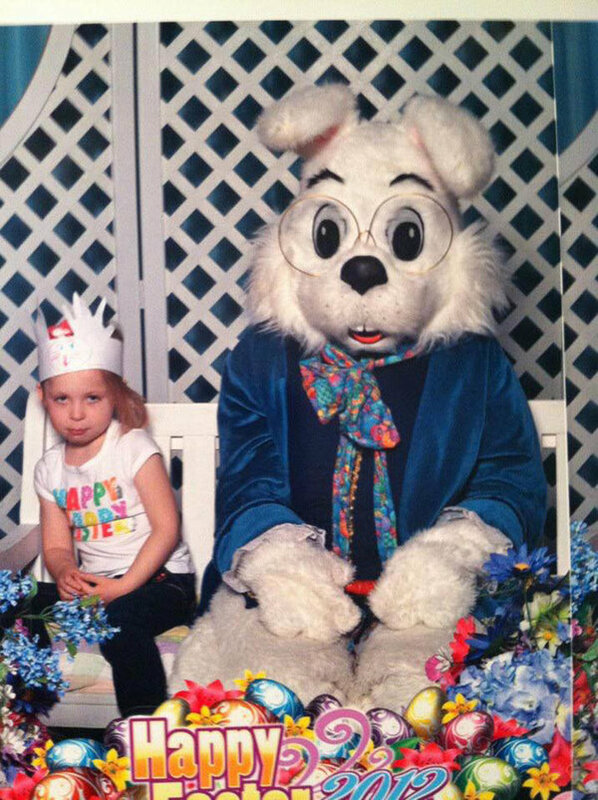 Not creepy, but the irony of her shirt and face kill me. 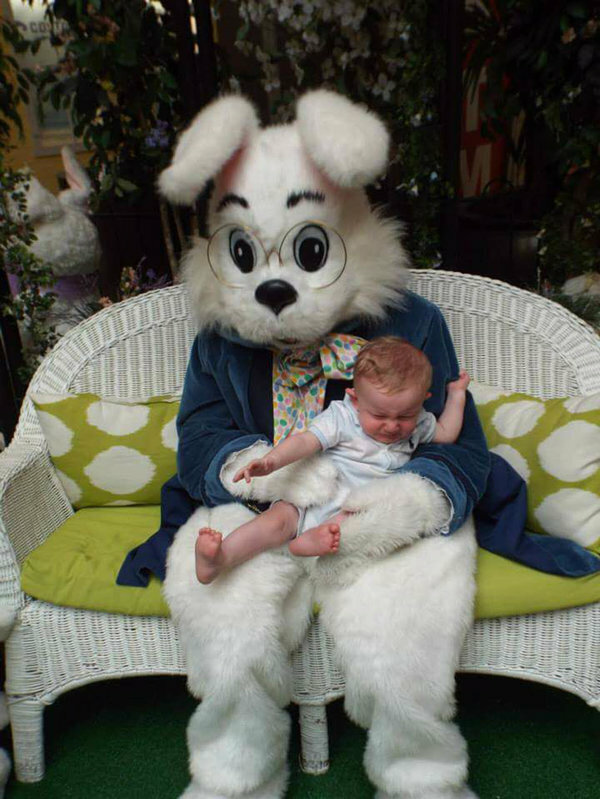 This is the reason I had kids, for things like this. 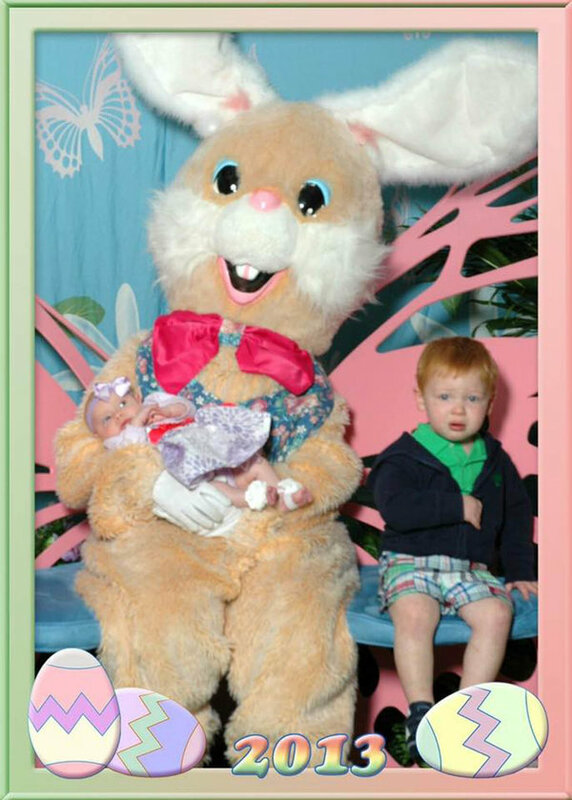 Dirtiest, stinkiest and most disgusting Easter Bunny EVER with my terrified daughter and tiny baby. 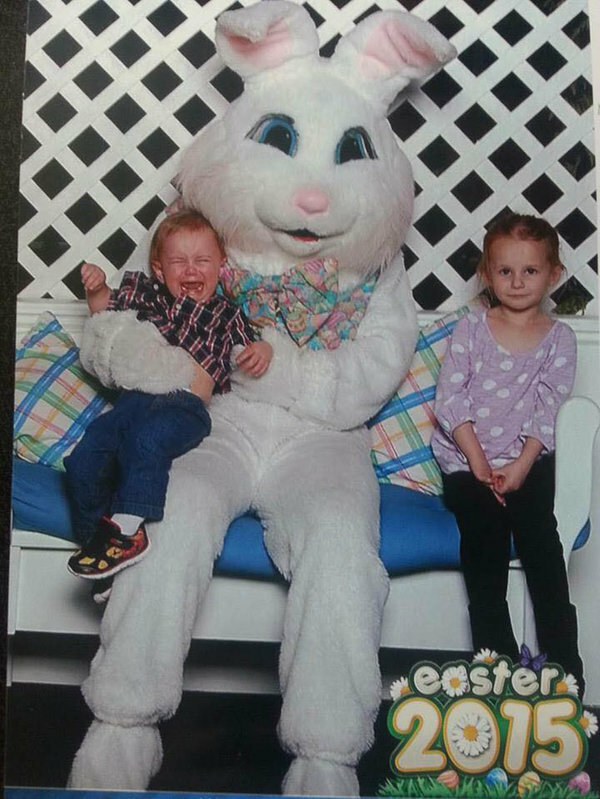 My children couldn’t have more different personalities. 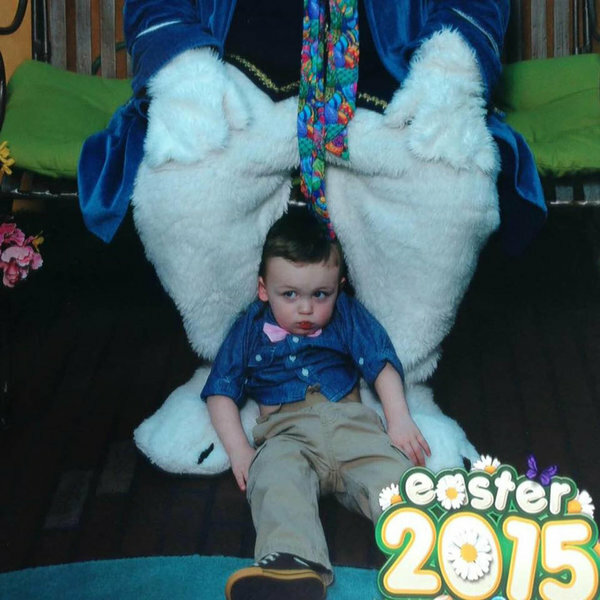 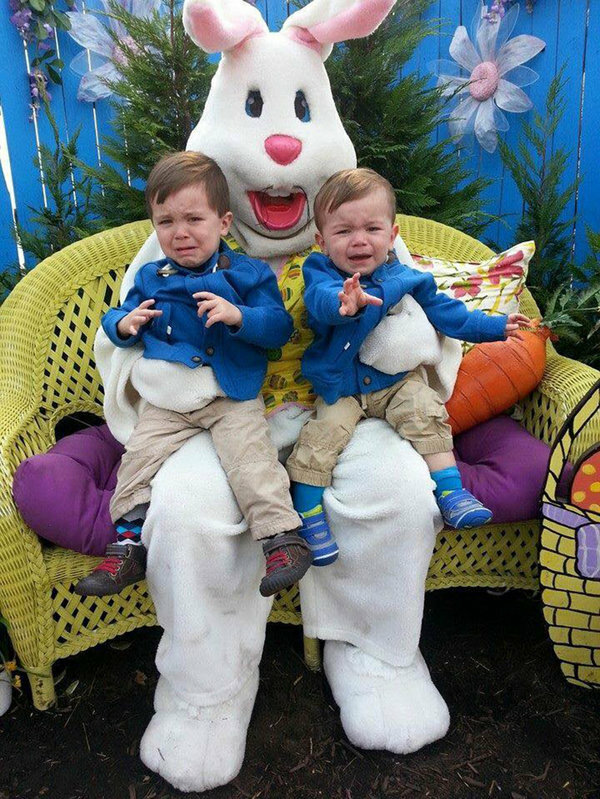 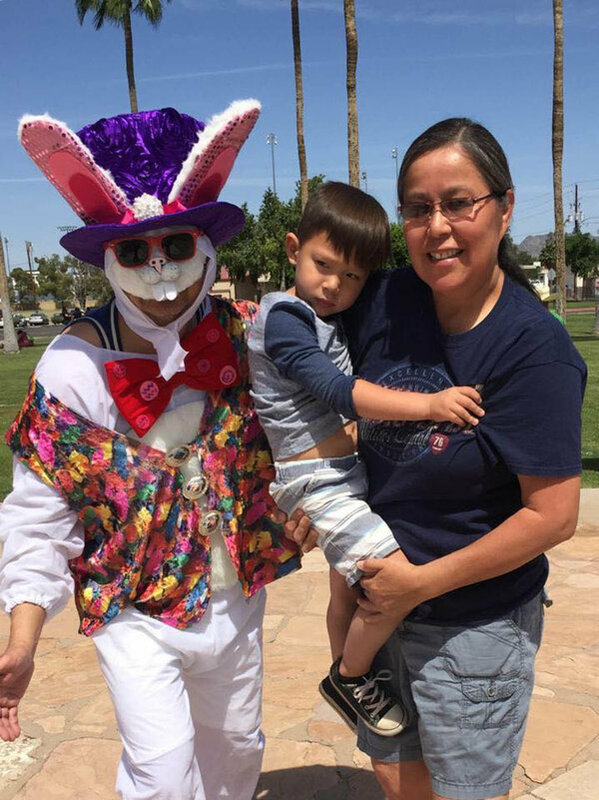 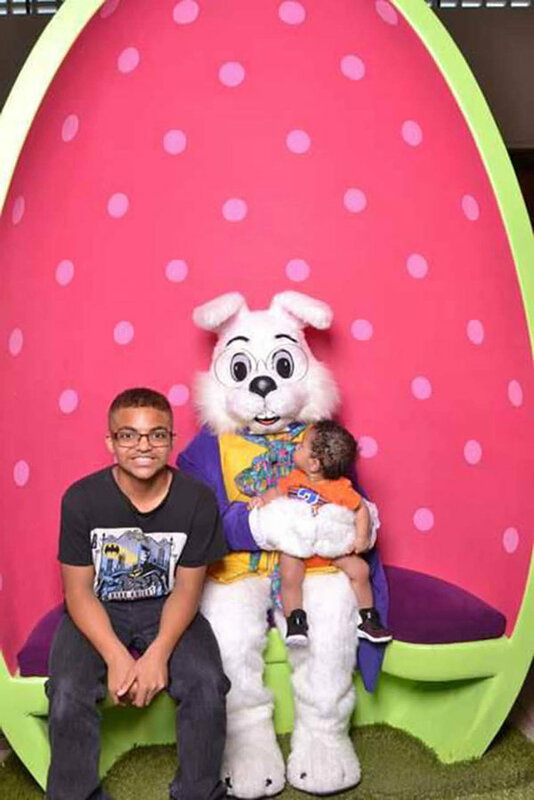 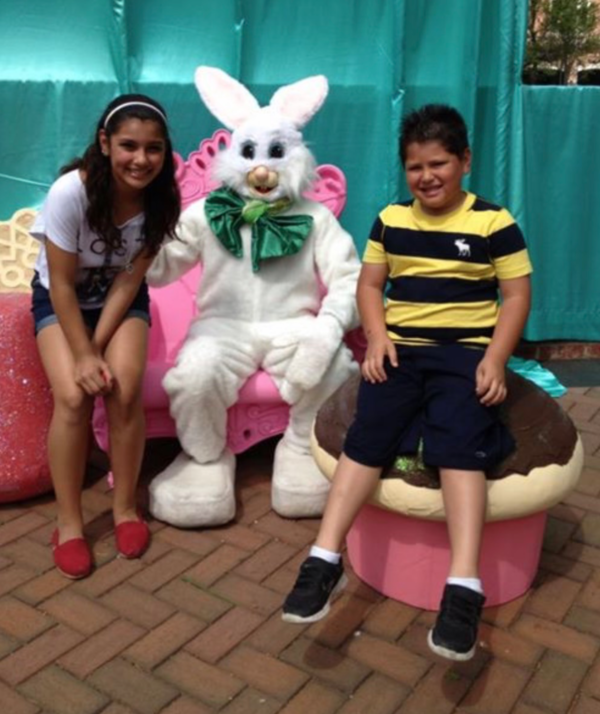 This was two years ago, and my son is still scared of the Easter Bunny! 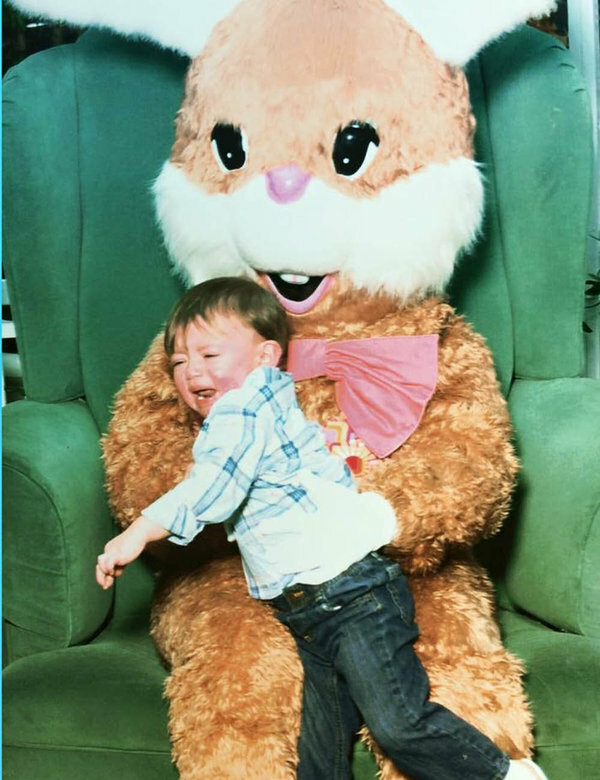 Who can blame him?! 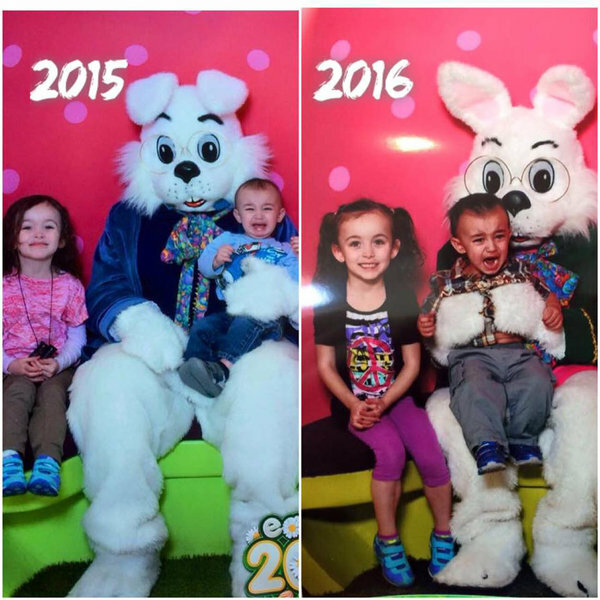 We got creepy two years in a row! 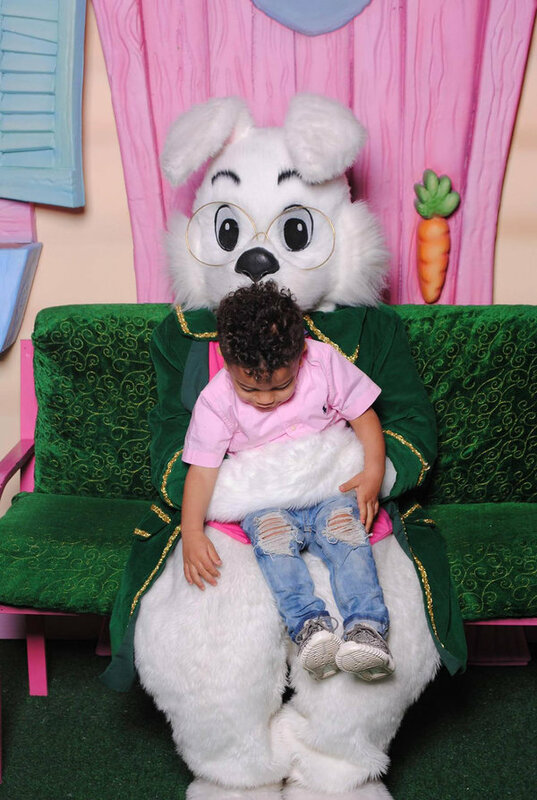 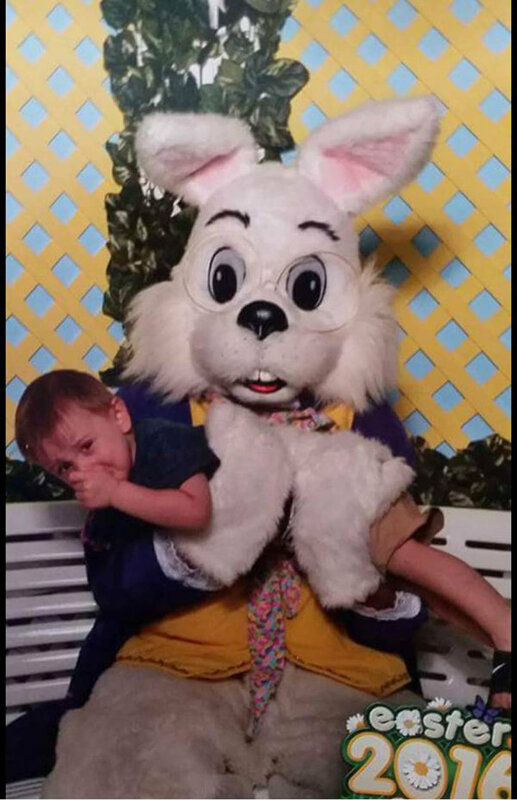 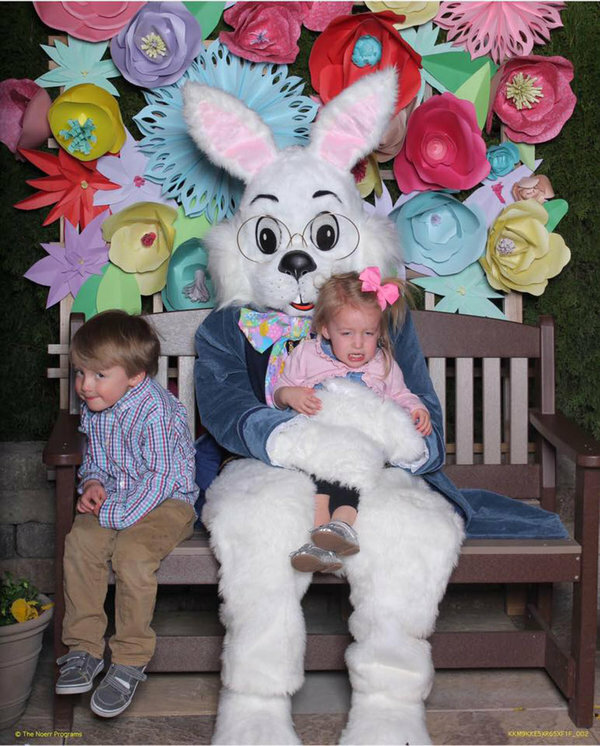 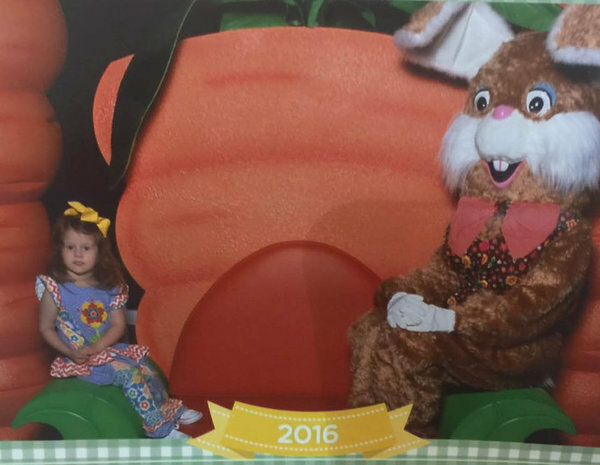 Wasn’t going to force him to sit on the creepy Bunny’s lap. 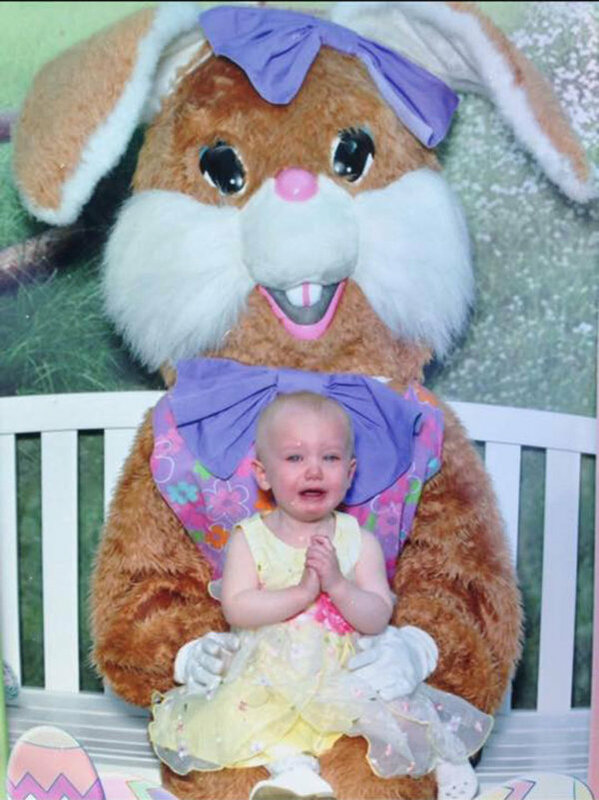 This is the priceless result. 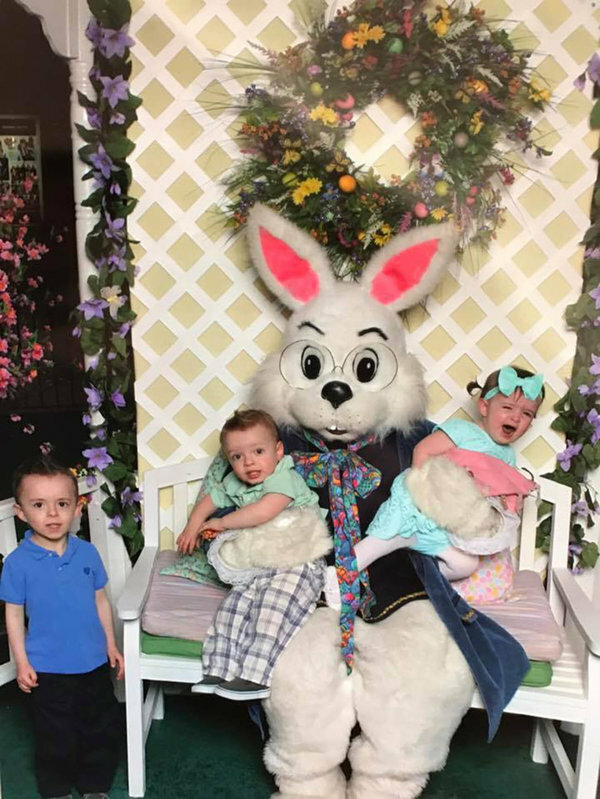 Two crying, an eye roll from the oldest, and hysterical laughter because of the other two crying from one … sums up my kids perfectly! 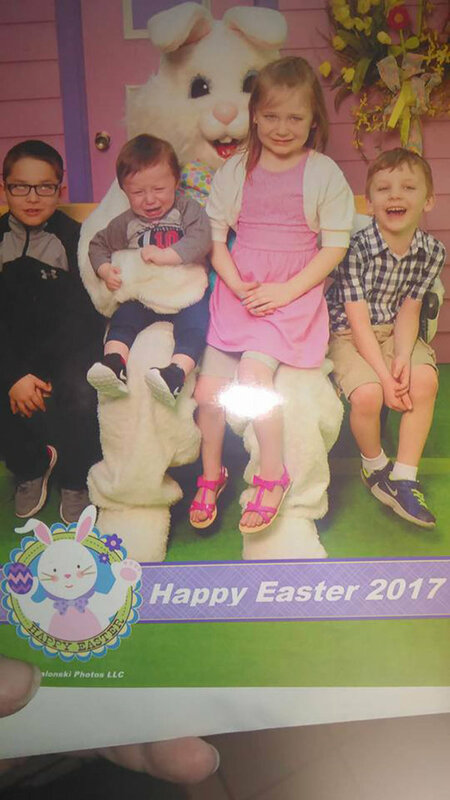 Poor kiddo just was not about it. 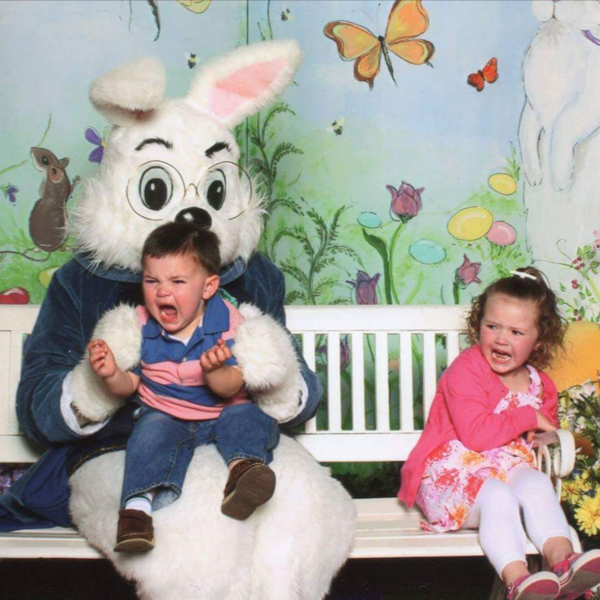 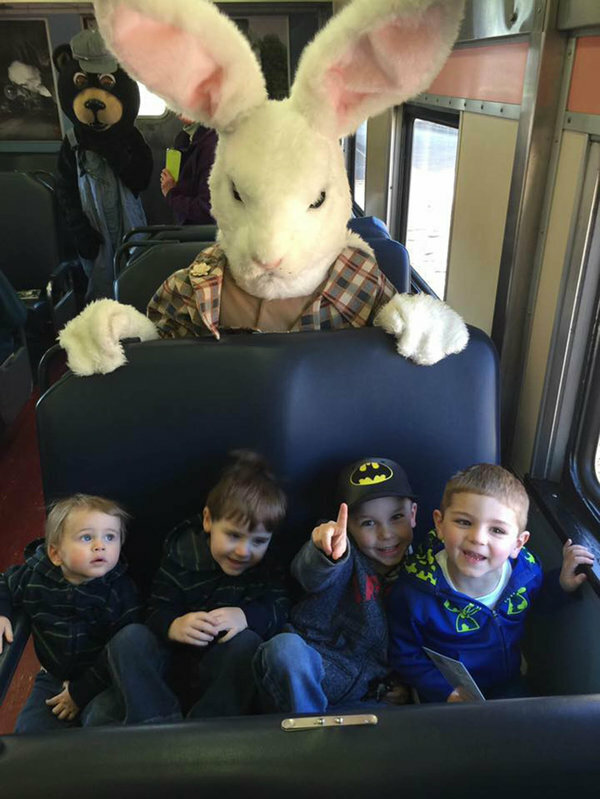 Unruly children and an evil-looking Easter Bunny.